If you cannot consume dairy, you may have heard about milk and cheese alternatives made from nuts. Whether or not you are lactose intolerant or have a milk allergy, you can gain taste, texture, and nutritional benefits from nut milks and cheeses. Nuts are full of magnesium, calcium, folate, vitamin E, and other nutrients your body needs to stay healthy. Plus, they are a rich source of omega-3 fatty acids, a heart-healthy fat that helps combat inflammation. When you purchase nut milks at the store, look for the simplest ingredient list you can find (a good example: raw nuts such as almonds and water). Some varieties include a handful of additives that you can avoid by purchasing a more basic version or making your own. 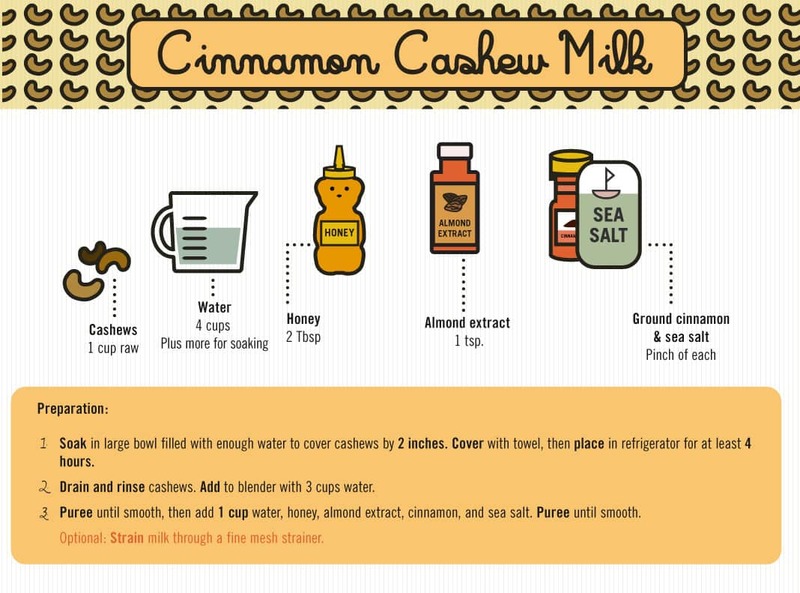 Below you’ll find two easy recipes for homemade walnut and cashew milk. Feel free to swap in any other nut that you’d like, such as raw almonds, pecans, hazelnuts, macadamia nuts, and Brazil nuts. Make a batch of milk on Sunday and enjoy it throughout the week as an ingredient for recipes, or in oatmeal, smoothies, and coffee. 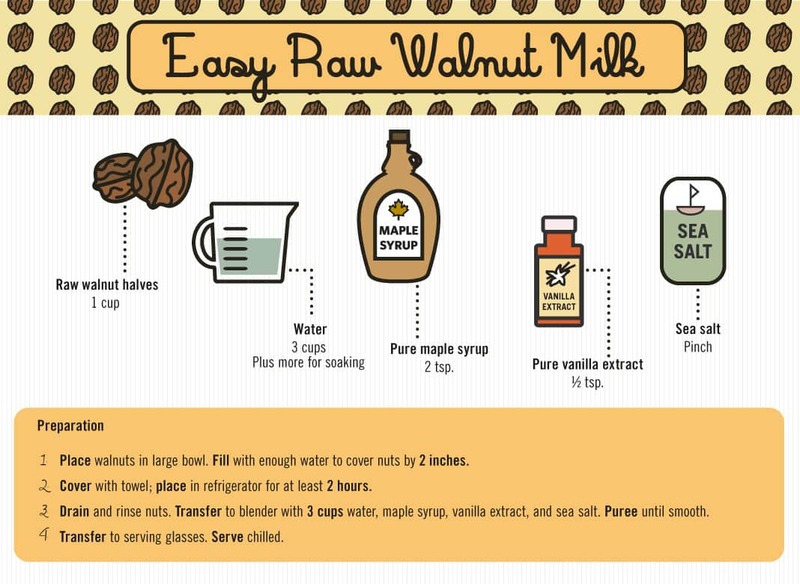 Be sure to use raw nuts and not roasted or seasoned nuts when making your own nut milks and cheeses. Roasted nuts are often roasted with vegetable oils, sweeteners, and refined salts. The bulk section at the grocery store or health foods store is a great place to stock up on raw nuts. Once you’ve made your milk, freeze leftover pulp until you are ready to use it in another recipe. You can also use a dehydrator and create a grain-free granola. Or run leftover pulp in a food processor with other nuts and seeds plus olives, and olive oil to create a delicious tapenade. You can also add the protein-packed nut pulp to cake and cookie recipes. You can find a vast array of nut cheeses sold in health food stores but it’s fun and easy to whip up your own version at home. Nut cheese ingredients are very similar to the ones used to make nut milk. Instead of adding a sweet touch such as cinnamon and honey you may prefer savory seasonings. These savory ingredients provide a cheesy taste without any dairy. As a rule of thumb, you’ll always need water, raw nuts, seasonings, and a pinch of sea salt for both nut milks and cheese. Flavor milk with extracts such as vanilla or almond, cinnamon, honey, maple syrup, and more. For nut cheese, incorporate nutritional yeast; olive oil; lemon juice; fresh herbs such as basil and cilantro; spices such as cayenne pepper, chili powder, or garlic powder; or fresh minced garlic. 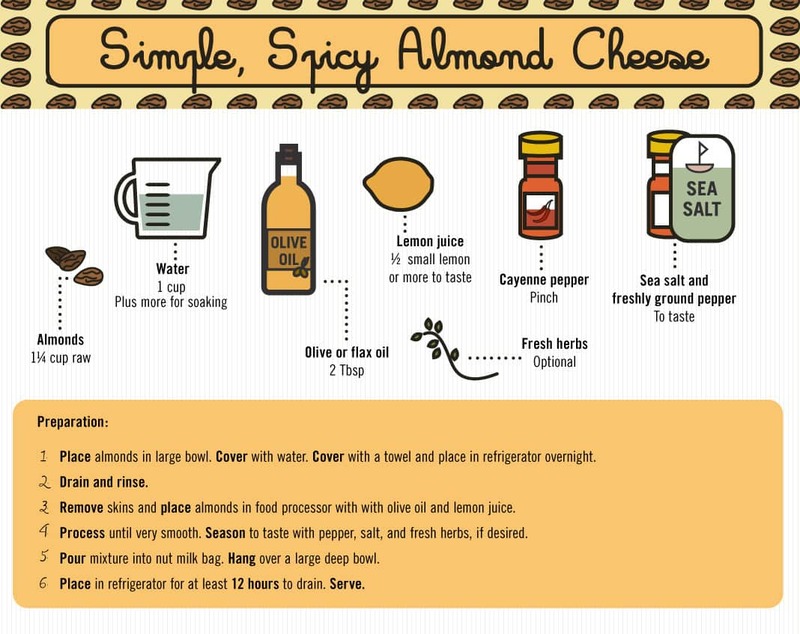 Below is a recipe for an easy nut cheese that you can spread onto sliced vegetables, crackers, or sandwiches. Use it as you would regular cheese (though it may not have the same melting properties). When shopping for nut cheese, look for the basic ingredients without a ton of additives. Remember: In this case, the simpler the ingredient list, the better. Place walnuts in a large bowl and fill with enough water to cover nuts by 2 inches. Cover with a towel and place in refrigerator for at least 2 hours to soak. Drain the soaking water and rinse the walnuts very well. 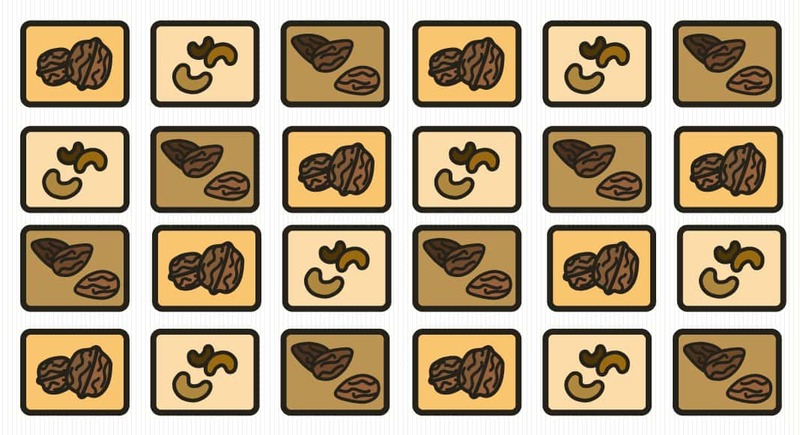 Transfer rinsed walnuts to a blender with water, maple syrup, vanilla extract, and sea salt. Puree until smooth. Transfer to serving glasses and serve chilled. Refrigerate for up to 3 days. Soak cashews in a large bowl filled with enough water to cover cashews by 2 inches. Cover with a towel and refrigerate for at least 4 hours. Drain and rinse cashews well. Add cashews and 3 cups water to a blender. Puree until smooth then add remaining 1 cup water, honey, almond extract, cinnamon, and sea salt. Puree until smooth and milk is at your desired consistency. (Optional: Strain milk through a fine mesh strainer.) Store in refrigerator for up to 3 days. Soak cashews in a large bowl filled with enough water to cover cashews by 2 inches. Cover with a towel and place in refrigerator overnight. Drain well and rinse. Remove skins and place almonds in a food processor with remaining ingredients. Process until very smooth. Season to taste with salt, pepper, and herbs, if desired. Pour mixture into a nut milk bag and hang over a large deep bowl. Place in refrigerator for at least 12 hours to drain. Serve. Amie Valpone, HHC, AADP is the Editor-in-Chief of TheHealthyApple.com. She is a Manhattan celebrity chef, culinary nutritionist, professional recipe developer, food photographer, writer, and motivational speaker specializing in simple gluten-free, soy-free, and dairy-free clean eating recipes.She shares her story of how Clean Eatingand Detox saved her life and inspires you to clean up your food, too.Amie's work appears on Martha Stewart, Fox News Health, WebMD, The Huffington Post, The Food Network, Glamour Magazine, Clean Eating Magazine, SHAPE Magazine, Prevention Magazine, PBS, and many others. Visit Amie on Facebook, Twitter, and Instagram @TheHealthyApple. Amie's first cookbook on Clean Eating and Detox will come out in early 2016.